The European Investment Bank (EIB) has recently issued a EUR 650m “Climate Awareness” bond. The 6-year bond is rated AAA and carries an annual coupon of 1.375%. This issue is the largest ever of its kind to be issued in euros. Its aim is to fund projects in the fields of renewable energy and energy efficiency. Mirova, Natixis AM’s socially responsible investment arm, has invested EUR 55m in the issue on behalf of its aggregate SRI funds (mutual and segregated funds). 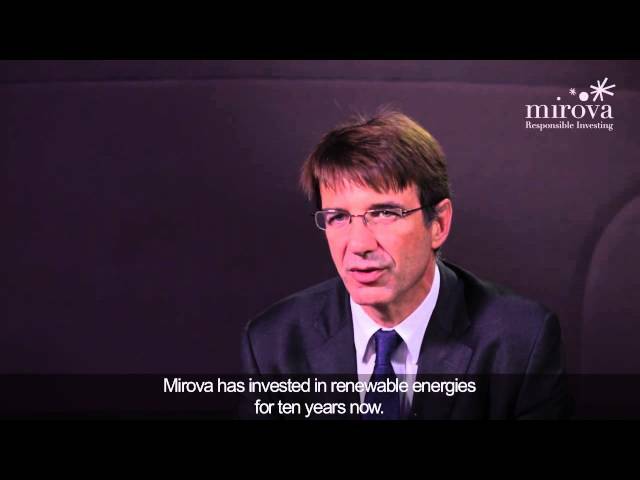 Mirova holds the largest positions in this EIB issue amongst French asset managers, and is thereby a key player in driving the growth of the green bond market.